The search to verify if there was any interest for such an organization began with a 2008 newspaper article announcing a meeting to discuss the proposed idea. More than 200 people attended. In view of the existence of a west-side Detroit Gilda’s Club – a cancer center founded in honor of the late cancer victim, actress Gilda Radner – it seemed as if this idea was what Eastsiders had been waiting for. Originally founded by 16 focused members from the medical community and other volunteers, The Lake House was established as Gilda’s Club East a decade ago. Under the driving force of St. John Hospital nurse Carolyn Schmidt, The Lake House came into existence largely because she carried that light forward. Both groups have an established crossover of board members and founders, as well as some members. Ensconced initially in a converted SCS 7/11 building, The Lake House has since expanded with a 2017 move to the former Pare Elementary School where it shares spacious quarters with other non-profit organizations. Following a 2010/11 merger with Wellness Community, today The Lake House is officially known as Cancer Support Community. The 501C3 non-profit organization receives income from events, individual donations and grants. In 2016, the Lake House served 350 individuals in the community; by 2017, that had grown to 400. In the first four months of 2018, the number was already shadowing 300. People are currently helped through 20 programs consisting of support groups, wellness activities, social activities, educational seminars, and spiritual activities. Meaningful connections have also been forged with St. John Hospital, Henry Ford Hospital, McLaren Macomb, Karmanos Cancer Institute and Beaumont Hospitals, all of whom also help with sponsorships. As the only Lake House director with a background in non-profit management, Bialecki has helmed the ship and created a course for sure success. Anxious to establish roots and branches for The Lake House, she continues to dig deeper and fortify a solid foundation within the surrounding communities. “Research has shown that with cancer, patients won’t exceed traveling more than 10 miles to receive support,” says Bialecki. In her role as the fourth official director, Bialecki has largely steered The Lake House into a burgeoning future. Daughter to first-generation Polish-Americans, 66-year-old Bialecki’s circuitous route to The Lake House began as a Detroit native who traveled south to work at what is probably the most unlikely of places: the FBI. A clerk-stenographer and secretary for eight and a half years during the J. Edgar Hoover era, she then aimed to become an agent. That led to her college education at Villanova with receipt of both a Bachelor of the Arts degree in the Honors Program and a Master of the Arts in Religious Studies. It also resulted in a lifetime of loyalty to her alma mater for which she still serves as president of the Villanova Club of Michigan and Ohio. Deciding to then leave the FBI, Bialecki veered into work with various small, start-up non-profits in the Philadelphia area: Citizen Advocates, Cabrini Mission Corps and the Delaware Literacy Council. From the latter, she segued into the cancer realm following the 2011 cancer diagnosis of a close friend, for whom she served as caregiver. After his death, she returned to Michigan and read a 2013 article about The Lake House in a Detroit-area newspaper. Bialecki applied for, and landed, the position of executive director. Suddenly, her untapped abilities were apparent, especially since they fit more of a management need than those of her three predecessors. The universal concern for cancer touches many, she says, and businesses and individuals alike reach out to work together in the common goal of facing it. With cancer touching the lives of so many, today’s public has a greater awareness of the disease and seems to no longer be shy about raising funds to deal with it. It’s not a whispered affair to attend cancer centers for treatment – or fun. People generally arrive at The Lake House as patients, then frequently stay as volunteers and even dedicated program facilitators. It has become home to creativity, camaraderie, bustling activity but most of all, laughter and support. Medical experts regularly present programs geared to enlighten, motivate, process and most importantly, provide hope and ammo to battle cancer. 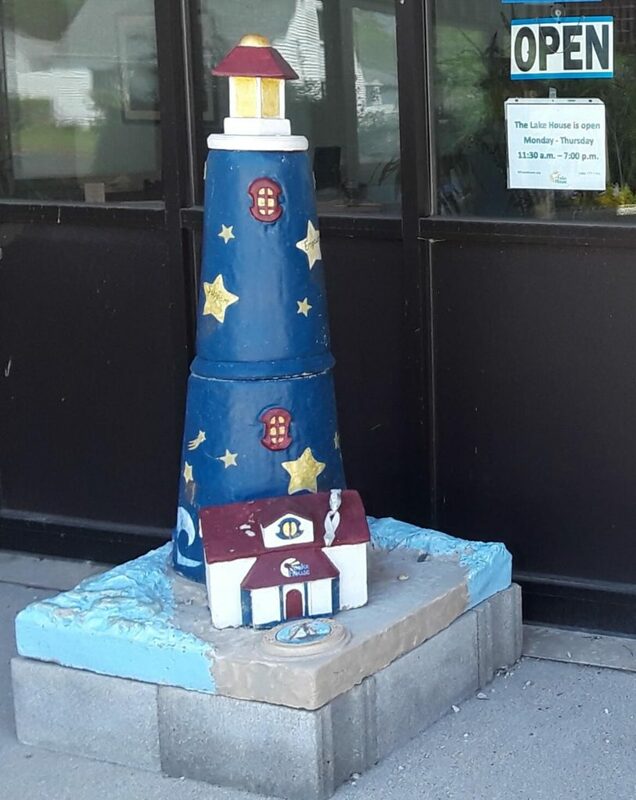 All efforts are assisted by the unwavering support of The Lake House’s board members, Program Coordinator Christina Lombardo, Administrative Assistant Kathie Diskin and Volunteer Coordinator Susanne Babcock. Yearlong programs address all ages, levels of comfort and interest. During summer, the annual fly-fishing wellness retreats are launched each year, encompassing time spent on the Au Sable River in Grayling. This year, four separate groups will benefit from the non-profit organization Reeling & Healing’s excursion while seeking physical, emotional and spiritual healing. With one event in July and three in August, patients are each allowed one excursion to commune with nature and experience peer coaching, positive camaraderie and support. The Lake House also assists those suffering with other health conditions through housing the PATH program, Personal Action Toward Health. An evidence-based senior program, it provides improved energy, less pain and confidence in health management for conditions such as arthritis, depression, diabetes, high blood pressure and heart disease in six classes sponsored by the Area on Aging 1-B, spanning the months of June and July. And, to address the shortages of blood types A, B and O, The Lake House will also host the American Red Cross on Wednesday, July 11 from 1–7 p.m.
Plans for the future include Bialecki’s desire for Lake House expansion as well as in serving others. “I want to see further growth, including the addition of a facility in northern Macomb County,” she says. That, she adds, should eliminate anyone having to travel beyond that infamous 10-mile mark in Macomb County to receive support and help to defeat cancer. 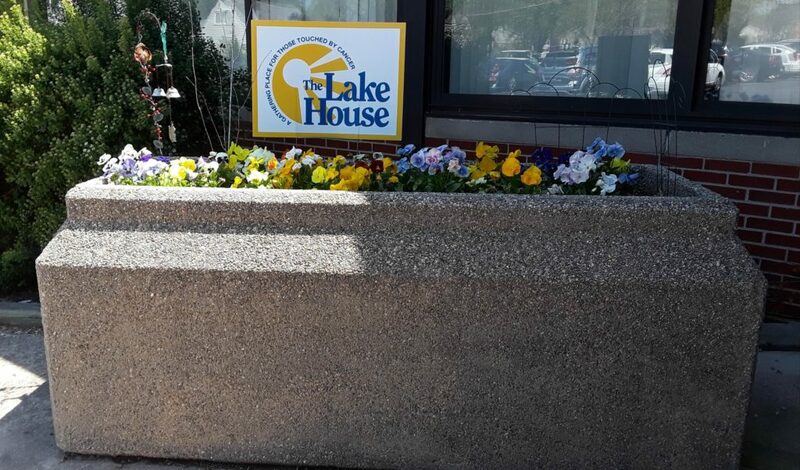 The Lake House is located at 23500 Pare St., St. Clair Shores and is open Monday – Thursday from 11:30 a.m. to 7 p.m. For more information, contact (586) 777.7761 or go to www.milakehouse.org. This was published July 7, 2018 on detroit-city-limits.com. 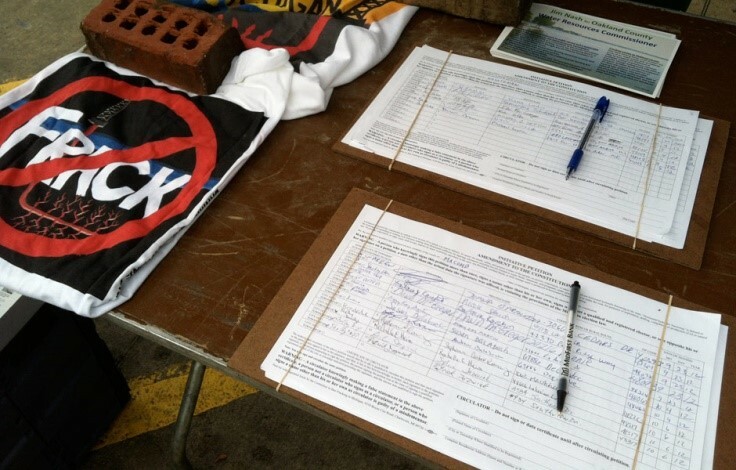 Fracking is already in Michigan, although a ballot proposal to ban it is gathering support from citizens statewide. The Committee to Ban Fracking in Michigan has campaigned for two years, explaining fracking and resulting pollution—as well as our unique situation governed by Michigan’s Department of Environmental Quality (DEQ) Office of Oil, Gas and Minerals. “That means,” says Committee to Ban Fracking in Michigan campaign director LuAnne Kozma, “that Michigan’s actions MUST be construed in favor of the oil and gas industry, whether or not it’s detrimental to humans, animal populations and the environment. "Otherwise, Michigan can end up in court. Our law is fashioned after similar dictate in Texas and fails to consider safety or health issues," adds Kozma, emphasizing the need to address such flaws. And although coal continues to be mined as an alternative resource, she says it is primarily shipped overseas. Kozma points to global climate damage as a primary culprit, made worse by the infrastructure surrounding energy industries. "Fracking victims are also prevented from warning others; families forced from their homes and farms due to fracking’s pollutions and damage, are being silenced," she says. The committee is currently gathering volunteers, arranging paid workers and raising funds to reach $500,000 by next April to re-launch petitions in preparation for Michigan’s 2016 elections. Members are also arranging educational events with national experts, along with the showing of “Gasland 2,” a sobering fracking film. To-date, 57 Michigan fracking well permits have been granted, with 10 currently in production. Just one well using 35 million gallons of water also uses 175,000 gallons of toxic chemicals—referred to in the industry as “trade secrets”—to release the underground gas. If the ban is passed, fracking will cease. For more information, a list of upcoming events or to get involved, visit their website at: LetsBanFracking.org. Wendy Clem is a Detroit-area writer in all facets of print and online, specializing in historical books--covering stories from haunted sanitariums and political intrigue to auto and health trends. This article appeared in the July, 2014 issue of the East Michigan Natural Awakenings Magazine. This was first published in October, 2017 in The Detroit Metro Times newspaper and online. It can also be found at Linkedin. It was while Mark Roby was lying in a Michigan chemo facility and receiving 10 million units of Interferon that his doctor leaned in to whisper that the life-saving treatment coursing through his veins wasn't going to work. And neither would the alternatives Avastin, thalidomide or any clinical drug trials, the oncologist opined. Roby, now 60, holds to that moment as betrayal of a caregiver entrusted for hope and a cure. That seminal turning point taught him that focused, positive and determined people can survive cancer; 12 years later, it is also the crux of the Birmingham resident's mission to save the lives of others. 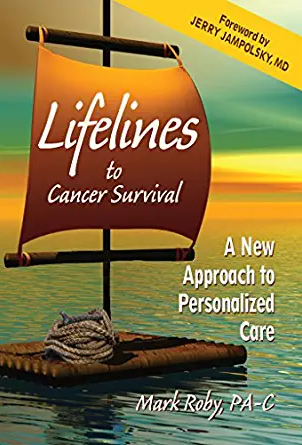 To that end, the career physician's assistant wrote his comprehensive guide, “Lifelines for Cancer Survival.” It guides cancer patients to shore up a support network, determine potential treatment and medication, and embellish health through overall life improvements. It maps creating a successful personalized molecular profile, anticancer nutrition, integrative medicines and chemosensitivity assays. Not the average self-help guide, “Lifelines” is highly readable and cohesive in its own molecular structure. It features Key Points summations for each chapter, charts with dietary data, and lists of online support groups and reference materials. It is quite possibly the most important tool any patient can own, particularly for sufferers of rare or aggressive cancers. It most assuredly empowers each reader and will save lives. Roby outlines his own battle with rare, aggressive liver cancer, while directing readers to see cancer as a surmountable life challenge. The book's narrative was assisted by other patients, oncologists and cancer experts, all of whom refined his advice through straight-forward, helpful input. Much is cutting-edge information for a disease that will see an estimated 1,658,370 new cases diagnosed this year and kill 589,430 people in the U.S. alone. That's 1,600 dead adults and children daily, according to the American Cancer Society's Cancer Facts & Figures for 2014. Each group now benefits from a portion of the book's proceeds, says Roby, whose forward is written by renowned Stanford University physician Gerald Jampolsky MD, author of “Love Is Letting Go of Fear” and “Change Your Mind, Change Your Life.” Roby emphasizes need for integrative medicine, personalized treatment, and the importance of discarded tumors with their genetic clues. Such individual tools – retained by pathologists who initially diagnosed them – can continue to provide answers for the patient and related family. Most patients don't know that. That's because tumor feedback reveals genetic markers and other data; answers for devising a safer, more thorough treatment program with fewer potential side effects; and better remission results. When cancer is extracted from tumors and injected into immune-compromised lab animals, the procedure (called TumorGrafts) provides answers and progress in the patient's cure overall. Various types of chemo – or other treatments – can then be tried on the animals and studied, with a definitive plan devised in what Roby calls a Triad of Survival. As a triple-pronged plan, The Triad conserves valuable time if one method fails to cure; in that instance, a second or third treatment can be plugged into action immediately. Numerous studies support that patients should weigh the following in establishing an individual plan: Nutritional deficits, cachexia (bodily weakness/“wasting” syndrome), immune deficiency, fatigue and any vitamin deficiencies as well as inflammation and angiogenesis (the blood-vessel growth within tumors). With such tools, we recognize biomarkers, such as BRCA1 and BRCA2 – so genetically devastating from generation to generation and wreaking havoc on entire families. Many stricken patients take preventive measures by removing body parts long before the disease even develops. Roby, who also co-founded the metro-Detroit location of Gerald Jampolsky's Attitudinal Healing Health Center, defines what so many struggling cancer patients need: positive influences. The book and accompanying philosophy are incentive to be personally followed closely. And as a newly-diagnosed cancer patient, I can't think of a more fortuitous time to do so; I have a lot depending on it. First published in November 2015 in the Detroit City Buzz column at Examiner.com, this article earned more than 1,350 “likes,” and is still accessible at LinkedIn. As World War II fades into our collective memories, most of its more fascinating tales are glossed over in favor of providing basic data for history books. Consequently, the watering down of riveting tales dilutes the fear, adventure and sheer emotion connected to such critical times for humanity. But, if Hertha “Hedy” Sheridan’s recent appearance at Eastpointe’s Michigan Military Technical and Historical Museum is any indicator, people are still interested in — and passionate about — one of war’s most grim times. Her role in that era is an intriguing one: She served as a court reporter in Nuremberg, Germany during the post-WWII Nazi War-Crimes Trials. Although she failed to mention it and recount its connection to genocide for many years after emigrating to the U.S., it affects her more now, she says. “I saw too much,” she said, shaking her head. Now 85 and a Fraser resident, Sheridan is a reluctant public figure. Although the diminutive German grandmother is almost shy to share details of the role she played in history, she agreed to speak at the urging of American friends and fellow German members of Utica’s Carpathia Club. At the well-attended event, her personal stories and those of other audience members kept attendees’ rapt attention. Sheridan was hired, although her position during war time had been precarious, at best — largely due to her dad’s dislike of Hitler. As a stove-maker by profession, her father was failing to receive deserved promotions for not joining the Nazi Party, and his refusal to let her join the Hitler Youth Movement angered authorities. A subsequent threatening visit from the SS insisted she join or the family would endure greater hardship. Soon thereafter, her father disappeared upon being “drafted” into Germany’s armed forces. His deployment to France and Greece resulted in capture by the Allies, and the family ceased hearing from him, says Sheridan. Although he was treated well while a prisoner, the family assumed he was dead until he walked through the door of their home in 1946. “If Hitler had won the war, my family would’ve had to go (to the concentration camp),” she said. Her boss later corroborated that probability through documentation he discovered on her family. Sheridan staunchly maintains that many Germans were also imprisoned in the camps, a little known fact. And, although she and her neighbors only became aware of the camps’ existence and deeds much later, they knew nothing of them during the war. Just as her one neighbor did after “shooting off his mouth” at a local beer hall. Later, his family received word he’d died of pneumonia at Dachau, although everyone suspected he’d been gassed. Other German audience members agreed with Sheridan’s overview, sharing additional tales of “disappearances” throughout Nuremberg. In schoolrooms, for example, first Jewish students were moved apart from other students to desks that eventually ended up in the hallway before disappearing altogether; the special-education students also disappeared, then relatives, and teachers — especially those who were outspoken. It created ongoing anxiety. “That fear is still with you; that fear is still in your blood,” said one audience member. At the war’s conclusion, the Three Big Powers (United States, Russia and Britain) unanimously had agreed to try Nazi leaders who were responsible for war crimes. After sparring about the proper location, The Palace of Justice in Nuremberg was chosen to conduct 218 trial days, introducing 360 testimonies and the most infamous of the era’s Germans. The prosecutor, Robert Jackson, was “very competent,” in Sheridan’s estimation. During the post-war era, although she’d prepared to work in the insurance industry, Sheridan became part of the war-crimes trials’ secretarial pool. Later, she moved up in the ranks to the interrogation branch of the more than 1,000 personnel who were active in the judicial procedures. From November, 1945 until October, 1946 the International Military Tribunal oversaw trials of 24 major war criminals in addition to six German organizations: the Gestapo, SS (party police) and SD (security police), Hitler’s Cabinet, the SA and German Army’s General Staff/High Command. The main trials started in 1946, with the lesser ones held later. Sheridan worked with four attorneys, and the Americans provided her with ample opportunity to learn English. She traveled to other cities, often toiling in the car enroute, and recorded what the defendants had to say. Those trips included visits to cities near the death camps, and listening to witnesses who testified, spelling out the horrific details of the medical experiments performed in the camps. Goering/Goring, a highly-decorated WWI soldier who created WWII’s Secret Police, later developed it into the Gestapo. He was very intimidating, says Sheridan, although she was not personally fearful; a guard and her boss were present at all times. Goering was very attentive when in the courtroom, says Sheridan, but he didn’t cooperate in the proceedings, like most of the other generals. Goering was found guilty on all four counts he was tried on and sentenced to death. On the night before his execution, however, he committed suicide by ingesting cyanide through an as-yet unexplained ability to procure poison while detained. Several of the guilty also committed suicide while imprisoned. No women were put on trial, although the wives of the higher-ups were separated from them and under considerable scrutiny. Sheridan also preferred not to have to traverse the work hallways on days when the Russian guards were on duty, she says. The Americans, French and British guards were polite and gentlemanly, but the Russians made passes at her, particularly when they passed in the close quarters of the hallways. She also babysat the children of American generals, frequently interacting with the American military stationed in and around Nuremberg. There was a cost to her, however. When she returned home with stories of her days and tales of the trials, she shared some with her mother, who then told others. 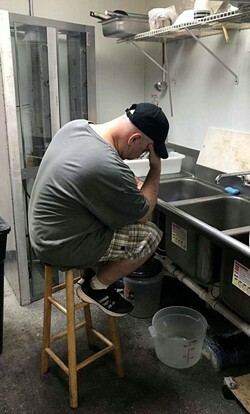 She worked overtime during much of her job, receiving a much-appreciated dinner during the overtime, in an area ravaged by food shortages. Earning either money or cigarettes for those extra hours, she used the latter to barter for the few meager goods in town. Schools helped feed hungry children, and Sheridan ate at the American motor pool — formerly the German one — where her mom worked. Her mother hid her in coal bins and through other methods, especially when the Americans were around — or the Moroccans rode their bikes into town. Soon, however, German residents realized they’d been lied to about Nazi enemies and befriended the Allies. One of the stranger tales perpetrated by the Germans includes the stories they fed their people about black soldiers. In short time, the overview of Americans changed, and during post-war many helped feed the Germans. Numerous military wives helped with orphanages and other institutions, bringing in food from the U.S., the Netherlands and Denmark. “Of course, they weren’t mean; they were really very friendly,” said Sheridan. Afterward, the German people were blamed for losing the war, says Sheridan. Blame had been plentiful from Hitler and others in top Nazi leadership. Still, the allure of the Allies was so strong that Sheridan fell in love with one — a young soldier she met in a Munich souvenir shop. By 1947, Sheridan deemed things in Germany “very boring” and married her American the following year. 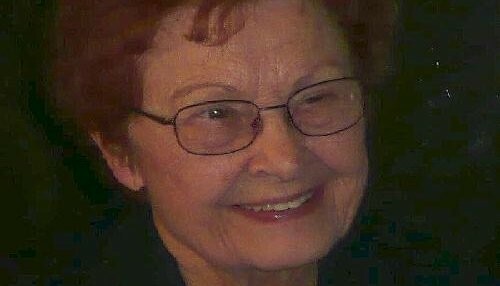 They moved to Cleveland, then Detroit, where her husband studied languages at Wayne State University on the GI Bill and they raised two children. Today, Sheridan is an American citizen, a role she is quick to praise. First published in November 2014 in the Detroit City Buzz column at Examiner.com; currently available at Linkedin.